Having known Spencer ‘Spex’ Stevenson for over 10 years I can tell you that if endorses a product then it has to be a very good product. Spex has been appointed as a hair loss guide and mentor for Nanogen. 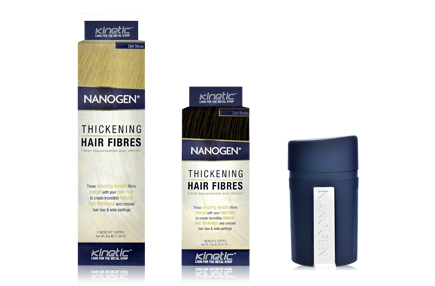 Nanogen hair thickening products are manufactured by Pangaea Laboratories Ltd. Established in 1999, since then the company has grown rapidly. The main areas of focus are skin care and hair thickening treatments. Spex started visiting all the hair loss forums on the web and soon found that the world of hair loss was full of unscrupulous companies and individuals, he soon started post on the forums about the problems that he found when he started his own journey to ending hair loss. Spex has come a long way from forums, featuring regularly in UK media like the Daily Mail & The Times, as well as his own blog on The Huffington Post. 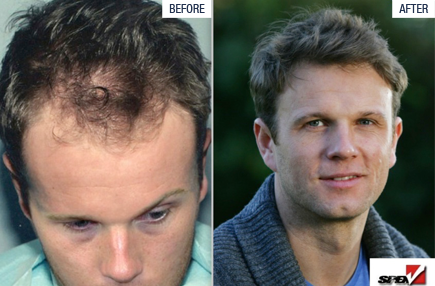 His own site at spexhair give detailed advice about hair loss via medication or hair restoration surgery. He also co-hosts Spencer Kobren’s ‘The Bald Truth UK’ Radio show. Nanogen Fibres are a great product. Being made of Keratin (the same protein as your hair) means they look completely natural. After the last hair transplant I no longer need them but I definitely recommend them as they helped me get through some tough times. You’d be amazed who uses them, I have been at quite a few Hollywood events where a celebrity has confessed that they have taken this makeup artist’s secret home with them! The Nanogen Shampoo and Conditioner are both great. I have been using them for over 3 months now and they are a pleasure to use. They left me with healthy looking, thicker hair. Unlike other shampoos and conditioners i’ve used, these products leave your hair looking full bodied but also workable when dry, it’s really easy to style to suit your own look. I highly recommend trying them out and incorporating them into your daily routine.